WHY CHOOSE HOTEL MANAGEMENT SCHOOL OF GENEVA? DISCOVER THE ADVANTAGES OF CHOOSING THE GENEVA HOTEL SCHOOL TO PURSUE YOUR STUDIES? Swiss hotel training is recognised as being among the best in the world. Favouring small classes with a school on a human scale – 300 students, 62 employees – is one of our priorities to optimize the acquisition of knowledge. A policy that encourages the sharing of professional experience and human relations, which is central to our service businesses. 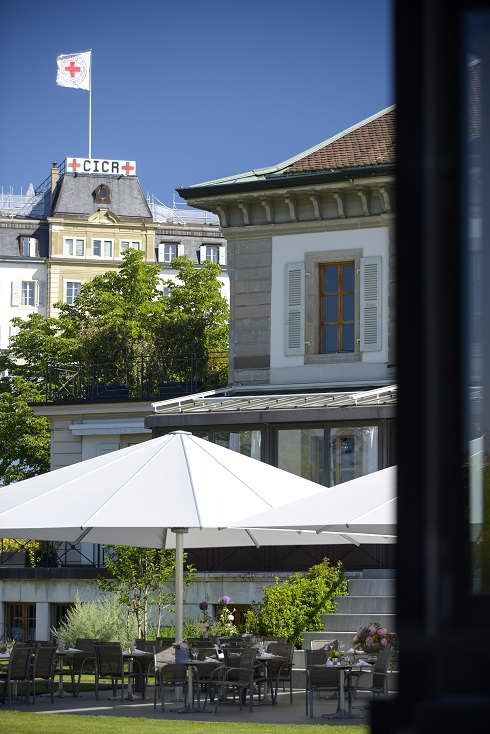 For more than 100 years, the Hotel Management School of Geneva has affirmed its difference. Combining personal initiative and collective responsibility, respect and ambition, professional achievement and personal development, the Hotel School trains the men and women who will be able to undertake to build the hotel and restaurant industry of tomorrow. In order to ensure that its training courses meet the needs of employers and reflect the reality of the labour market, the Hotel Management School works closely with industry and the organisations that represent it. Its curricula are enriched and aligned with international quality standards. Thus, its graduates (Alumni) have acquired high-level skills enabling them to work in all types of institutions around the world. Our diplomas are recognized and appreciated by professionals in the hotel and restaurant industry. They offer an exciting and varied career choice as well as a fantastic openness to the world. In addition, companies in the tertiary industry (banks, tourist offices, insurance companies, etc.) are opening up real professional alternatives. The Hotel Management School of Geneva benefits from a very close relationship with market companies. The Hotel Management School of Geneva is located in Switzerland, on the shores of Lake Geneva, in the heart of diplomatic Geneva and international organizations. At 10 minutes from the heart of the city of Calvin and a few minutes’ walk from the Palais des Nations, the school is easily accessible (Cornavin train station, A1 autoroute, Geneva Cointrin international airport, etc.). A renovated 3500 m2 campus within the Ariana park, with many services and facilities: an initation restaurant, the Entre’Actes cafeteria, banquet halls dedicated to events, etc.